Strengths: Malkin is already one of the most productive all-around center-forwards in the NHL. His elite combination of skill and size has drawn comparisons to Mario Lemieux and Mats Sundin. In international competition, he is a proven natural leader for Russia. Weaknesses: Malkin at times can disappear in games, but this is becoming increasingly rare. Malkin does not shy away from the physical part of the game, but he has become injury prone in the last few years and has missed significant time. Biography: In such a young hockey career, Evgeni “Geno” Malkin has already become a leader in the Russian Superleague, in the NHL, and at the international level. While growing up, Evgeni was fortunate to have a hockey-playing father, Vladimir. Unsurprisingly, Evgeni followed in his father’s footsteps and also made it to the hometown Superleague team. 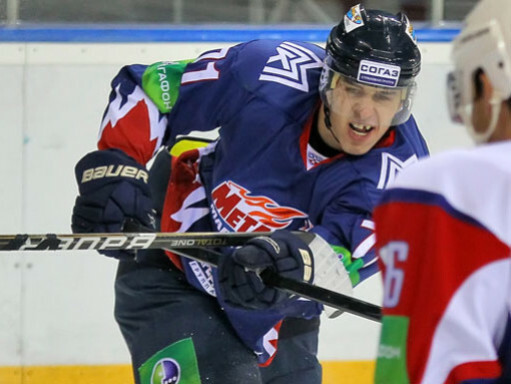 In his three seasons with Metallurg, Malkin transformed into a first-line power center. In 2005 Evgeni was chosen as the second overall pick in the NHL draft (only behind Alexander Ovechkin). Remaining in Russia, Malkin was the only point-per-game player in 2005-06, despite not winning the scoring title. Unfortunately for Evgeni, Metallurg couldn’t win the championship while he was there. But he was so valued that his team did whatever it could to avoid his leave to the NHL. Malkin was persuaded to sign a $4 million contract for another year in Magnitogorsk, but during training camp in Helsinki Malkin quietly left his team to meet up with his agent and fly to North America. Such action drew similarities to the defections of Fedorov and Mogilny fifteen years earlier, but it was really a result of a lack of a proper transfer agreement between Russia and the NHL. In Pittsburgh, Malkin was a key factor in making the Penguins a playoff team. He started the season with 7 goals in his first 6 games! Like Ovechkin a year earlier, Malkin won the Calder Trophy as rookie of the year. In his second season, Malkin finished second in NHL scoring and first the next year, claiming the Art Ross Trophy. Malkin was also nominated for the Hart Trophy. 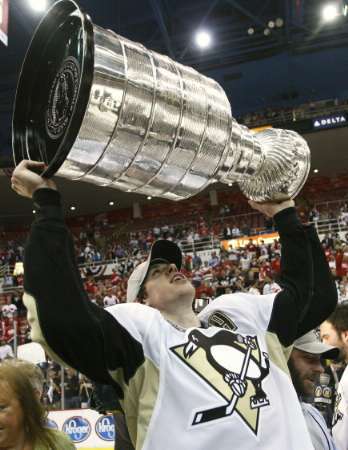 In the 2009 playoffs, Malkin put up 36 points in 24 games to lead the Penguins to a Stanley Cup victory over the Detroit Red Wings. “Geno” became the first Russian to win the Conn Smythe Trophy as the playoff MVP, making a strong case that he is not any worse a hockey player than fellow superstars Ovechkin and teammate Sydney Crosby. After two injury-prone seasons, Malkin returned to dominate the NHL in 2011-12, finishing with 50 goals for the first time and once again leading the league in scoring. In 2012 Malkin also collected his first Hart Trophy as NHL MVP and the Ted Lindsay Award as the best player as voted by players themselves. The Penguins’ early playoff elimination allowed Evgeni to join Russia at the World Championship in 2012. Playing on a line with Avangard Omsk wingers Alex Popov and Alex Perezhogin, Malkin put in one of the most spectacular offensive performances in World Championship history, scoring 11 goals and 19 points, including two hattricks. Russia won the tournament with ease and Malkin won not only his first gold medal but also the tournament MVP prize. For the duration of the NHL lockout in 2012-13, Evgeni returned to his hometown Magnitogorsk with fellow NHLers Nikolai Kulemin and Sergei Gonchar to play for Metallurg. Malkin continued his torrid scoring pace in the KHL, where he finished 3rd in points despite leaving back to the NHL in the middle of the season.